Ragni Small Trowel 8" x 3"
Ideal for use in narrow places inaccessible to a standard sized trowel. Carbon steel blade and soft-grip handle. 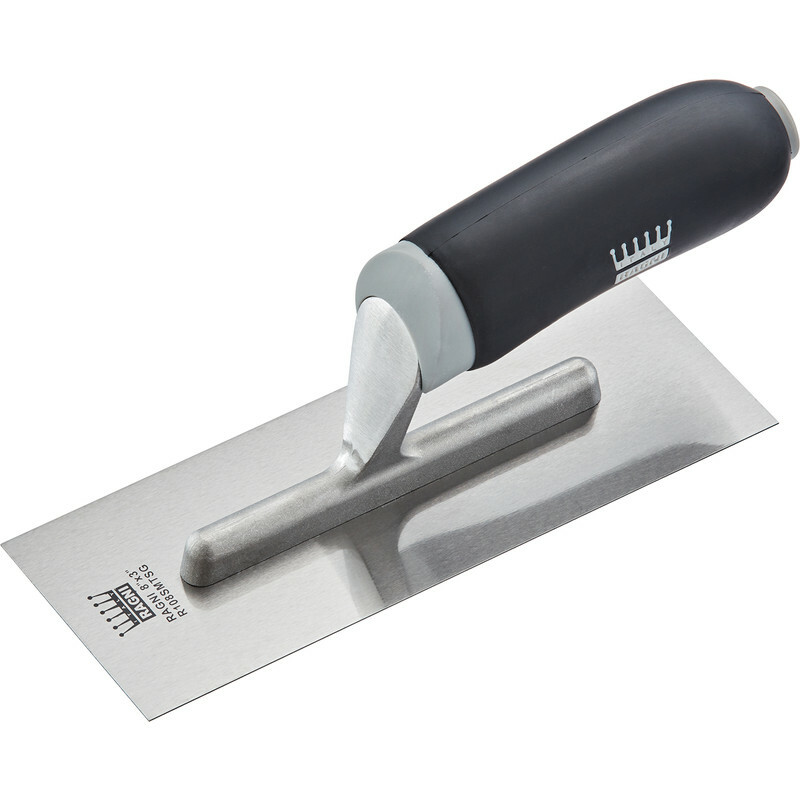 Ragni Small Trowel 8" x 3" is rated 4.3 out of 5 by 4. Rated 5 out of 5 by The Gerb from Great little trowel Got this little trowel to get into some small areas where the normal one wouldn't. Saves time messing on tying to get a good finish with anything bigger. Has a quality feel & is nice to use. Only used it about 15 times, but dont think it's gonna fall apart any time soon. Rated 3 out of 5 by Billy Botchit from The handle slightly rippled underneath It's not precisely flat, as you an see where the handle is attached. More expensive trowels are flatter and better made, though it did do the job. Rated 5 out of 5 by Rich b from Very useful! Excellent trowel especially for resin coving .